These stainless steel gold tie clips are a great accent to keep your suit looking sharp. 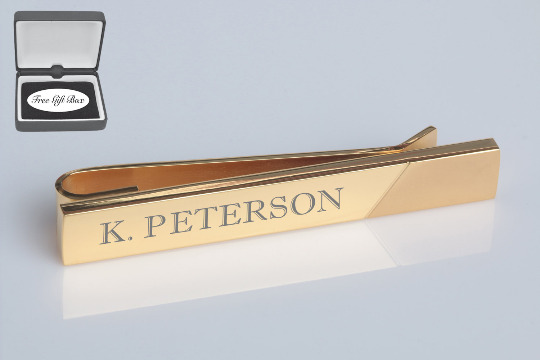 Each engraved tie clip can be personalized with a name or initials. 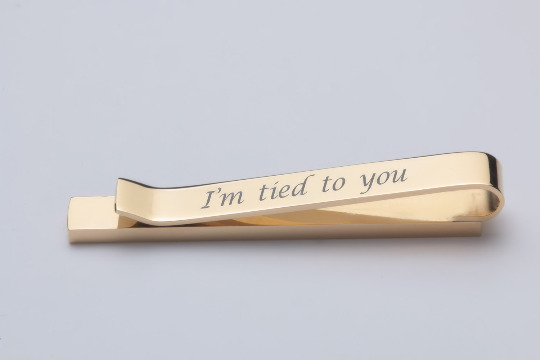 By engraving a tie clip you add a sense of sophistication and style.